"It will feel like a victory for them because we've outplayed them and should have come away with maximum points. We probably should have scored more than one, and to come here and dominate the game and not come away with three points is a big disappointment. "But the referee's given free-kicks for fouls and pushes all day - and then the one time we wanted him to give it he didn't. "We still should have seen the game out but we didn't and now we have to live to fight another day, because if anyone thinks it's done and dusted in this division and it's only between the top three sides then they are kidding themselves because there is a chasing pack gathering that are hungry for it - and we're one of them." Jones was angered by the push from defender Radhi Jaidi in the dying stages which created the opening for Lee Bowyer's leveller. And he said: "It was a clear foul. I thought the referee had done okay at a hostile place but we had squashed all that and the crowd had turned on their own players. "And the fact Peter Enckelman has only had one save to make shows how disappointed we are not to have three points." But Jones vowed his side will bounce back, adding: "We've lost ground on a couple of others but, like I said, if anyone thinks it's all over with the top three I'm telling you it's not. "We will pick ourselves up like we did against Reading. I thought it was a foul but it seems more harsh because it's in the last minute - but we still should have cleared our lines." "I'm sure Cardiff will think it's tough on them but we threw everything at them at the end and we risked losing another goal to get an equaliser. And it paid off," he said. "I'm pleased for Lee, I'm delighted for him. He showed he's still got the legs and he's still got the energy. He found that wee bit extra to get in the box and find that equaliser at a crucial time for us. "I thought we started really well and for 20 minutes or so we dominated. 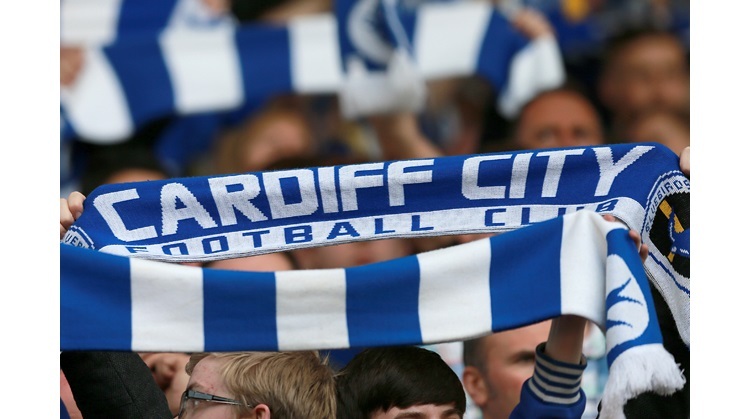 "Cardiff then had a wee spell but I don't think either goal was really threatened. "Second half, we never really got started, we huffed and puffed but Cardiff definitely dominated proceedings." The Blues boss was coy over whether Jaidi had fouled Johnson in the build-up to his side's equaliser, but also pointed to Cameron Jerome's disallowed first-half goal for offside. Asked whether he thought it was a foul, McLeish said: "Maybe, but Dave (Jones) probably didn't mention Cameron Jerome's goal, which I felt was onside. "So we all see through our own club's spectacles."